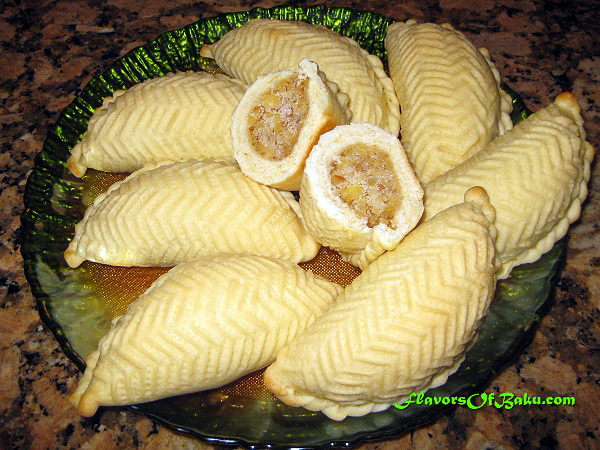 SHEKERBURA is one of the most popular Azerbaijani sweet pastries. 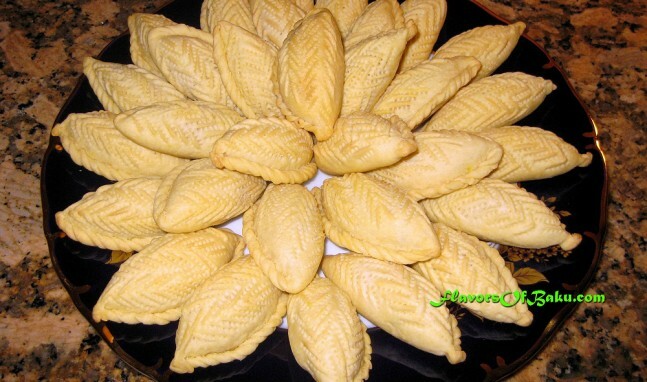 Shekerbura consists of nuts and sugar wrapped in pastry dough. The outer surface of Shekerbura is decorated using a special tweezers called “maggash”. Shekerbura, together with Pakhlava and Shor-Gogal, is prepared for Novruz, one of the most important spring holidays in Azerbaijan. According to tradition, the crescent-shaped Shekerbura represents the moon, the round-shaped, yellow Gogal represents the sun, and the diamond-shaped Pakhlava represents a star. 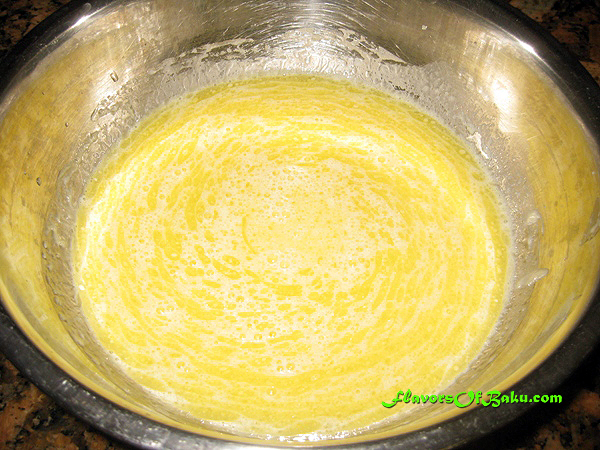 Mix the egg yolks, melted butter, milk, vanilla sugar, salt, and yeast mixture in a bowl. 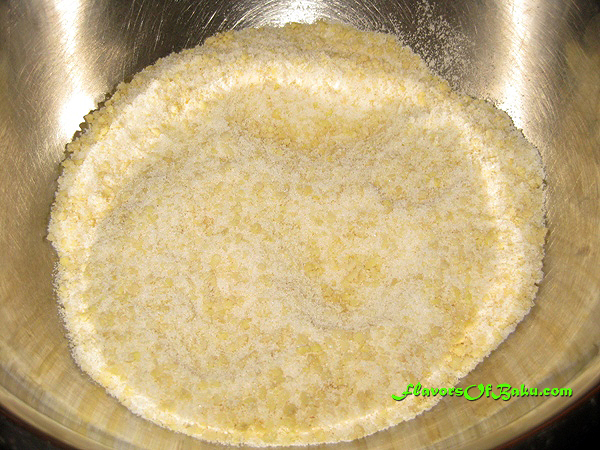 Add the wet ingredients into the bowl with your flour and begin kneading the dough until the dough it is smooth, and does not stick to your hands. 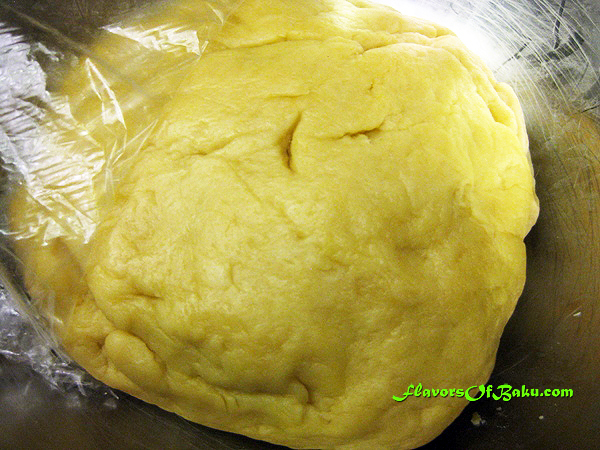 Wrap the dough in plastic wrap and let it sit for 30 minutes in a room temperature. 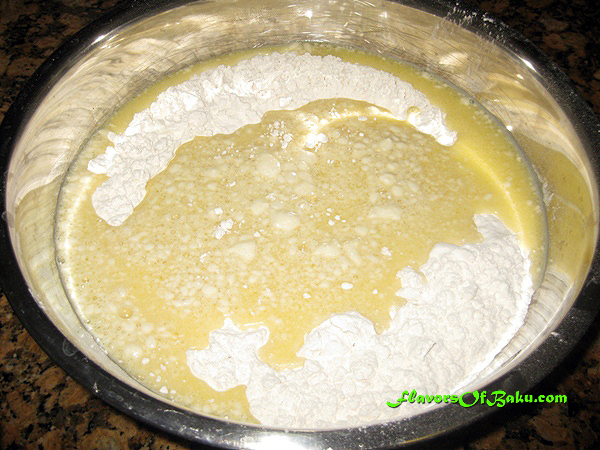 The dough should not rise, otherwise your Shekerbura will lose its pattern during baking. Blend the nuts, not too finely, using a food processor. 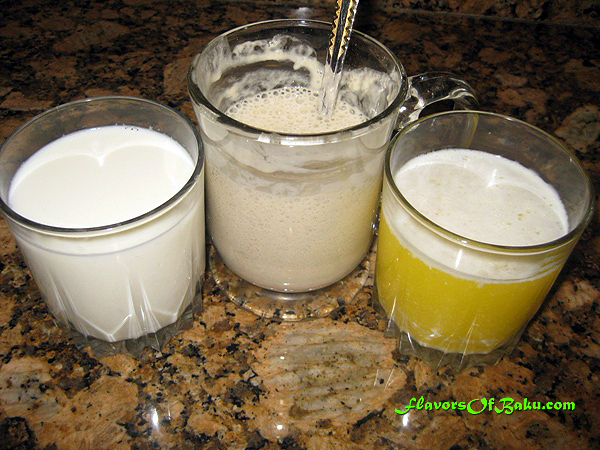 Remove the nuts from the blender and mix them with the sugar and the ground cardamom and vanilla sugar. Divide the dough into small balls (about the size of an egg). Place the balls on a plate, cover it with plastic wrap, and place it in the refrigerator to prevent it from rising. Pull them out 5 at a time while you make each shekerbura. Roll out the ball into a circle approximately 2-3 mm thick and 8-10 cm wide. Place a tablespoon of the stuffing in the center. Fold and pinch the ends tightly, then twist them as you would the edges of a Cornish pasty. 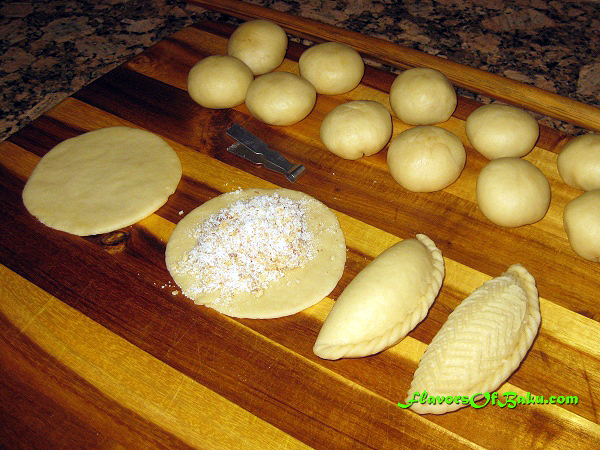 With your maggash, start pinching the dough to decorate the surface of shekerbura. 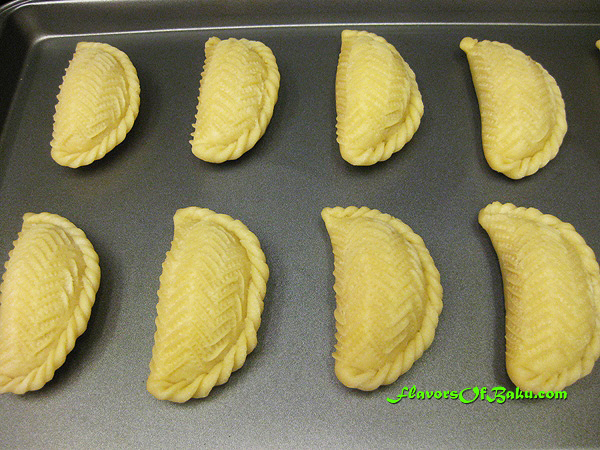 Place each ready-to-cook Shekerbura on a cold baking sheet (one inch from each other) until you finish 8-10 of them. Pre-heat the oven to 180°C (350°F), and bake shekerbura for approximately 20 minutes, until the bottom is slightly golden-brown, and the top is light.